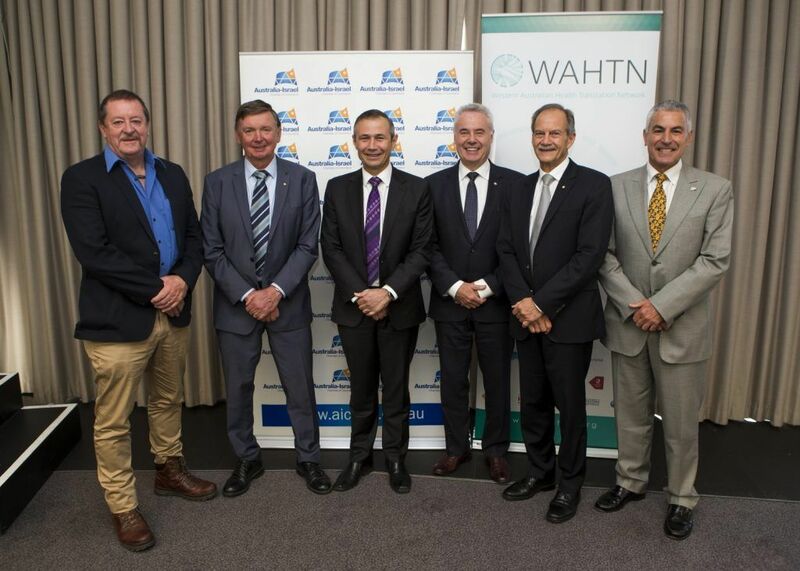 The annual event hosted by the Australia-Israel Chamber of Commerce (WA) and Western Australian Health Translation Network (WAHTN) was held on Wednesday the 6th December at the State Reception Centre in Kings Park. 251 delegates from corporate, academic and government sectors attended the business breakfast. 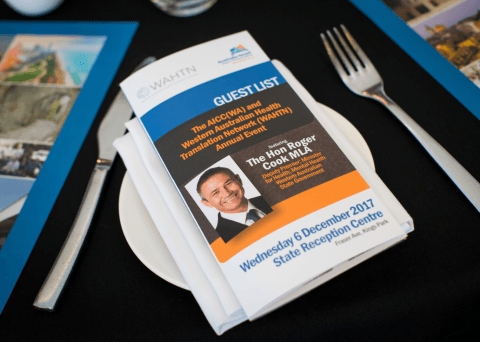 The Hon Roger Cook MLA, Deputy Premier; Minister for Health; Mental Health delivered a keynote address on behalf of the Western Australian State Government, followed by an informal Q&A discussion led by the Chief Scientist of WA, Professor Peter Klinken AC. Delegates also heard from John Cluer, Chief Executive of the AICC(WA) who spoke about AICC initiatives supporting Australia-Israel relations and Professor Steve Wilton, Foundation Chair in Molecular Therapies, Murdoch University, who presented on the exemplary work being done in research translation regarding Duchenne muscular dystrophy. Other highlights included a presentation by The Hon Malcolm McCusker AC CVO QC CitWA, chair of WAHTN, who discussed the power of collaboration. The event concluded with a vote of thanks by Professor John Challis, Executive Director, WAHTN. This was the 2nd year in the series of the AICC(WA) / WAHTN Annual Event’s. In 2016 we featured Professor Anne Kelso AO from the National Health Medical Research Council (NHMRC) speaking on “Medical research in the 21st century”. From L to R – Professor Steve Wilton, Foundation Chair in Molecular Therapies, Murdoch University and Director, Perron Institute for Neurological and Translational Science, The Honourable Malcolm McCusker AC CVO QC CitWA, Independent Chair, WAHTN Executive Board, The Honourable Roger Cook MLA, Deputy Premier; Minister for Health; Mental Health, Western Australian State Government, Professor John Challis, Executive Director, WA Health Translation Network (WAHTN), Professor Peter Klinken AC, Chief Scientist of Western Australia & WAHTN Executive Board and Mr John Cluer, Chief Executive, Australia-Israel Chamber of Commerce (WA).